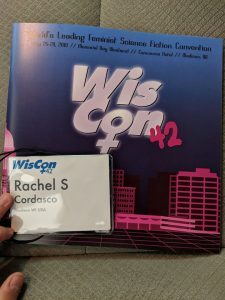 Wiscon– the world’s leading feminist science fiction convention–is currently happening (through Memorial Day weekend) and offers a wide range of panels, workshops, readings, academic papers, and much more (including a wonderful dealer’s room and lots of opportunities to network and nosh). This is my second time participating in the SF in Translation panel, and, as expected, it was informative, fun, and inspiring. Author and translator Sue Burke moderated, and Arrate Hidalgo, Crystal Huff, S. Qiouyi Lu, and I participated. There was much to discuss. First, Sue asked us to talk about the joys of translation- what draws us again and again to work on bringing some of the best speculative fiction from around the world into English. Sue focused on the beauty that she finds in these texts and her efforts to capture and transform it into English so that us Anglophone readers can experience the beauty, too. Crystal talked about the different perspectives that non-Anglophone authors bring to international issues, as well as the cultural differences that inform how writers approach speculative storytelling. 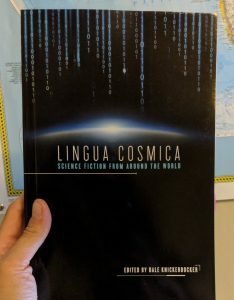 As Arrate noted, Spain is filled with Spanish translations of Anglophone science fiction (part of what inspired her to become a translator), and the English-to-Spanish trajectory is still much more common than the other way around. S. noted that the recent (re)translation of the Odyssey–the first to be done by a woman–offers readers new and interesting ways to approach a centuries-old text. 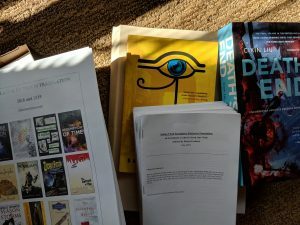 Crystal then spoke about the recent APSF-Con in Beijing (the first regional SF convention in the Asia-Pacific region) and the workshop that she led on speculative fiction in translation. There, native and non-native Chinese speakers grappled with translating Terry Bisson’s story “They’re Made Out of Meat” and discussed the implications of choosing certain words over others in order to render this story well in Chinese. Panelists then briefly talked about how such a seemingly-simple word like “meat” can have a variety of connotations depending on the culture/country. From the joys of to the barriers to translation: panelists talked about the difficulty of making a living as a translator, the isolation that sometimes comes with translating, rejections by magazines/publishers, acquiring rights, educating people about the translation process, managing your time as a translator, and issues of borders and visas that interfere with authors or translators trying to move from one country to another. 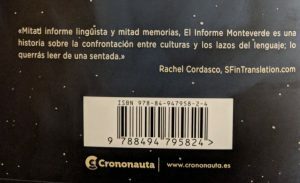 As S. pointed out, the English-language market doesn’t really benefit translations–except for Clarkesworld, which openly values translated SF and encourages it. In many cases with short SF, it must first be translated and then offered to magazines, which may or may not accept it (“paying on spec”), something that discourages some translators from investing their time in translating SF. I brought up a pet peeve of mine: when publishers don’t properly credit translators because, as I’ve said many times, texts don’t translate themselves. Sue noted that some US/UK publishers struggle to appropriately market novels from abroad. One audience member then raised the issue of (re/)translating older texts and how the passage of time, plus the differences in languages and cultures influences how a story is brought into English. This also raised the issue of how translations of the same text done by people from different generations can change the outcome in English. Arrate brought up the fact that since there are, for instance, few Polish-to-Chinese translators, a text might have to be translated from Polish to English, and then from English to Chinese, which raises a whole other host of issues about fidelity to the text and interpretation of someone else’s interpretation. An issue that has come up in other years on the panel, as well, is how to translate texts that have non-binary characters when the target language (such as Spanish) has a grammatical gender attached to every object. Crystal and S. then discussed pronouns and the emergence/creation of new pronouns in other languages to address these issues. We also talked about some of our most interesting translation conundrums, and I brought up my work on Nicoletta Vallorani’s story “The Catalog of Virgins,” in which my literal translation of a particular passage didn’t seem to make sense until I did a little extra sleuthing on the internet. Finally, Sue, Arrate, and S. talked about the importance of having other translators read their work and how another set of eyes can help catch errors or misunderstandings. They stressed, as well, the importance of translators acting as mentors. At the conclusion of the panel, we gave away some free books (Prodigies, Death’s End, and The Queue). Arrate and Sue also gave me some SFT-related goodies (below): on the left is a copy of Lingua Cosmica, a recent collection of essays about international SF (which cites this website! 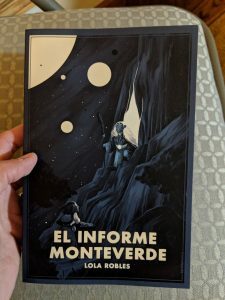 ), and on the right is the Spanish-language version of my blurb for Lola Robles’s El Informe Monteverde (translated into English by Lawrence Schimel as Monteverde: Memoirs of an Interstellar Linguist, from Aqueduct Press). It was a great discussion, and I only wish we could have had a few more hours! 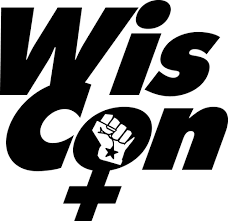 Looking forward to another excellent panel next year at WisCon43.